Often times when we look at our lifestyle in an attempt to assess our health, we tend to focus on the physical aspects. We ask ourselves questions regarding our diets and amount of exercise, which in an office environment, can be difficult to keep at a healthy level. Maybe because of that we choose to stop eating morning doughnuts or go for a walk on our lunch break. What many of us tend to forget while completing our health assessments is our mental health. Disregarding our mental health may not seem all that important, but in reality it can greatly impact our physical health, our work environments, and the quality of our lives. Especially within the workplace, mental health strains can lead to greater stress and lower productivity which isn’t a benefit for you or your company. A difficult work environment is one of the leading causes for individuals to visit social workers, counselors, or other mental health professionals. In fact, two of the top five most common reasons for visiting a mental health professional are economic decline (job insecurity) and stress. This suggests that many of us are frequently in positions at work that cause an unhealthy amount of psychological strain, which can lead to a host of more serious mental health conditions. Although mental health strains affect many employees, it is commonly an issue that is swept under the rug and not talked about. One study in Canada found that of 6,600 employees interviewed, approximately 14 percent reported currently dealing with depression. Furthermore, upwards of 31 percent of participants felt that their direct supervisor would not be supportive if they were to discuss a mental health matter with them. Workplace factors that can add to mental health strains include difficulty finding a job that supports you and your family, unrealistic workplace expectations, trouble focusing on tasks, employee bullying, or unfair management practices. Over time these conditions can make it difficult to want to go to work or to be a productive employee while you are there. One report estimated that the loss of productivity due to mental health was the equivalent of $51 billion annually. Mental health struggles can also have extreme impacts on more than just productivity. For instance, these conditions can make it more difficult to branch out and build relationships, network, or participate in collaborative projects. 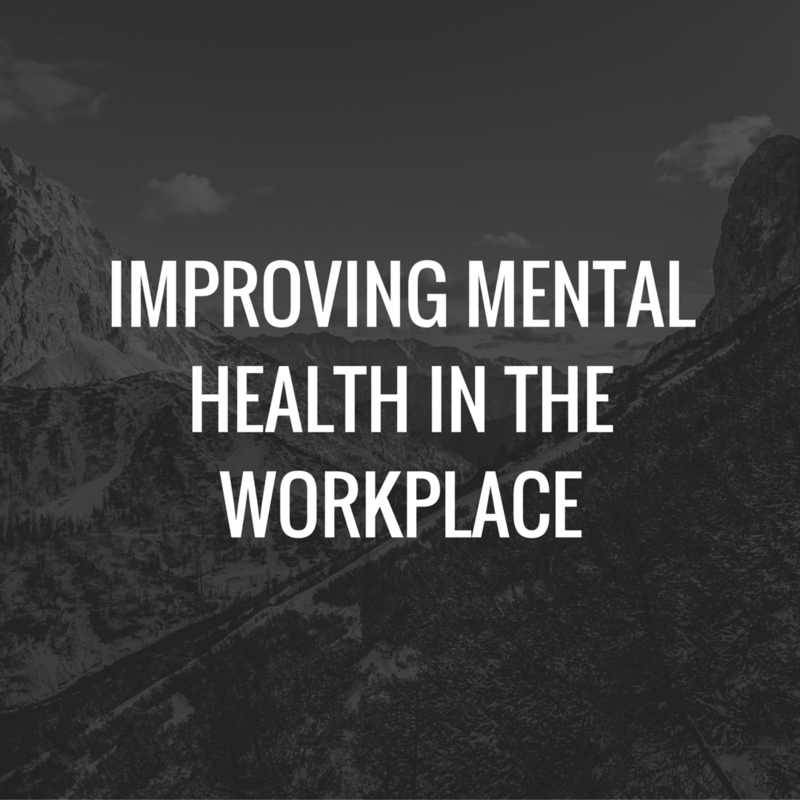 Mental health can also impact physical health by disrupting sleep, making us more susceptible to illness, or more sensitive to physical pain – all of which can make a workplace environment unbearable. If you recognize strains on your own mental health (e.g. stress, worry, feeling unhappy, etc. ), there are ways to seek help. Perhaps the most beneficial way in which to do this is to build a support network around yourself that you feel comfortable talking through your feelings with. This network can contain mental health professionals, friends, family, coworkers, other individuals dealing with similar strains, or any combination of each. Working through mental health strains is not a series of big steps, but rather a marathon of small ones. When stress begins to become overwhelming, take deep breaths to help calm your mind. Make an effort to stay physically active as it can help relieve stress and release endorphins. And finally, take account of all of the small things that make you happy daily and appreciate them for what they are. Following these tips is a good first step towards improving your mental health in the workplace. Increasing awareness of mental health issues in an important step towards reducing the stigmas preventing many from seeking out the help they need. Although some occasional work-related stress is normal, it is critical to evaluate yourself to understand if your situation is more serious. Assess if you are maintaining a healthy work-life balance and taking time for yourself, as not doing so can be a sign of a more serious strain. Finally, remember that finding a support network can make a world of difference in working through mental health concerns.